Della and I are Juice Plus+ lifers. Why? Two main reasons. We know it’s improved our health AND it’s backed up by research. Juice Plus+ has a very high impact factor. Meaning the research is stronger and more valuable. Research conducted has been done by very credible hospitals and universities around the world, not by internal company labs. What has the research found? The nutrients in Juice Plus+ are bio-available. Meaning your body recognizes the nutrients and uses them. This is not the case with many supplements and vitamins which are excreted from your body. In order to be bio-available, the nutrient must reach your bloodstream. 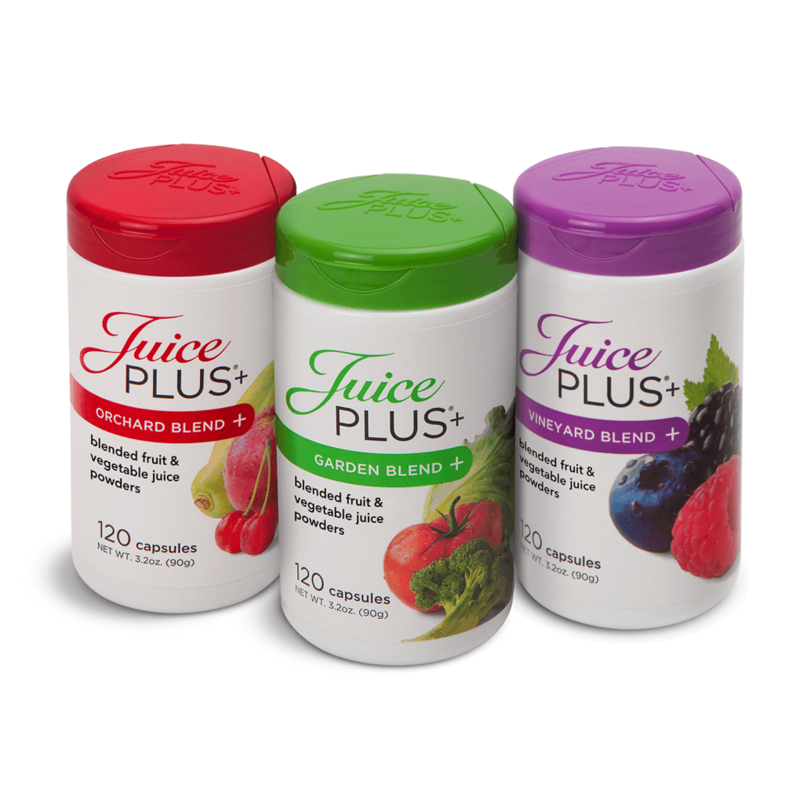 19 studies have found the nutrients in Juice Plus+ increase the antioxidants in your blood. Adults have seen improvements in gum bleeding, a reduction in plaque build up and improved pocket depth. Immune system. Studies have shown the severity of upper respiratory challenges, reduced missed work days, and increases in the number and activity of immune cells in the body. Since there is a history of cancer in my family this is another study near and dear to me. The antioxidants in Juice Plus+ have been shown to reduce DNA damage. Research also shows the level of inflammation was changed beneficially after Juice Plus+ intervention. Healthy skin. Juice Plus+ increases micro-circulation and boosts skin hydration, thickness and density. Systemic Inflammation. I believe inflammation is the source of most illness. Juice Plus+ has been shown to decrease levels of several key bio-markers of inflammation. Quality of Life. A study of ovarian cancer survivors Juice Plus+ improved quality of life, phyto-nutrient markers and cell health. Obesity. A study conducted on boys 6-10 years saw increased beta-carotene levels, improved insulin resistance and reduced abdominal fat. Source: Juice Plus+ Clinical Research Quick Reference Guide. All of the research studies are available individually. The Quick Reference Guide was recently produced and puts all the research under one cover using commonly used language.